Love of exceptional wine, so common for the French, can only be rivaled by their passion for fine eating. In case of Champagne, usually associated with the famous bubbly beverage, the daily eating habits of the locals might seem quite striking if not surprising. The same weather conditions that had always been in favour of traditional agriculture in north-eastern France have always made wine production a tricky task. And so in diets of Champagnoise the harsh winters, frosty autumn mornings and day-to-day hard labour are all reflected. Cuisine du Terroir – cuisine based on regional products, in Champagne takes the form of hearty food emphasising its nourishing aspects. A good example is La potée champenoise, a pork one-pot dish that allegedly “treats 30 guests and is cooked for four hours unattended” making in the grape pickers choice from the dawn of viticulture in the region. Another example of slow-cooking is Le pied de porc à la Sainte-Menehould, pork’s foot braised over hours and then breaded and broiled so the meat and bones literally dissolve in one’s mouth. This popular speciality, originating just outside the borders of core Champagne, has gained wide recognition among the hard working folk. When it comes to eating simple a sausage is often an obvious pick. But in Champagne a humble idea turns into a piece of art. Le boudin blanc de Rethel is a masterpiece by itself. The recipe of this pork white pudding dates back to 18th century which besides its distinctive flavours is the reason for its being listed on the protected geographical indication (PGI) index. Unusually smooth for a sausage, it is one of the famous traditional products of France, a notable fact being that one of the few producers is a descendant of boudin blanc’s original creator. 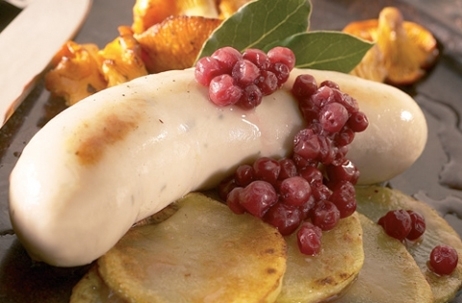 Lacking legal protection but of equal renown is the Andouillette de Troyes, a pig stomach stuffed with chitterlings. Typical for Troyes and its surroundings, the dish is a symbol of the town’s long established butchery traditions. Charcuterie is also one of trademarks of Reims, but widely respected hams seasoned with champagne need to shamefully give up to the crown to Biscuit rose de Reims, pink oblong biscuits, a favourite of those of royal ancestry. 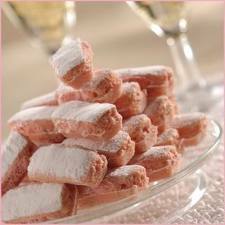 Dipped in champagne or ratafia, these sweets lead us to another surprise on the local tables which is the latter drink. Widely drunk by the Champagnoise, this fortified and sweetened aperitiff made with the pinot grapes that didn’t make it to the bubbles is a rewarding addition to any meal. As are the vinegars of Reims. The amber seasoning is made from the same grape varieties as champagne and is slowly returning to take its rightful place in modern cooking as an high-end product. 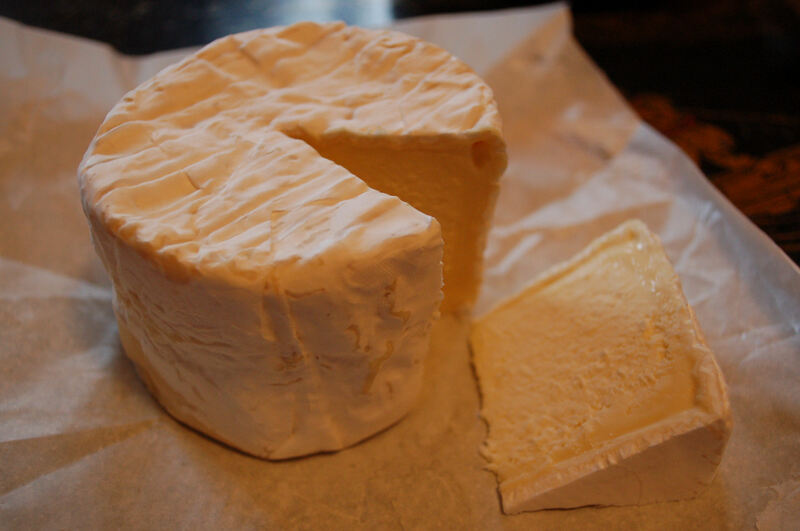 Moving again from the town and cities, one cannot forget the rustic cheeses of the region, just to mention mushroomy brie-like Chaource or soft, pungent Langres, both recognised as appellation d’origine contrôlée (AOC) products. Here the abundance of what nature has to give makes its way to the tables in form of venison, boar, rabbit or pheasant as the vast hunting grounds of Arc-en Barrois are just at a stone’s throw distance. 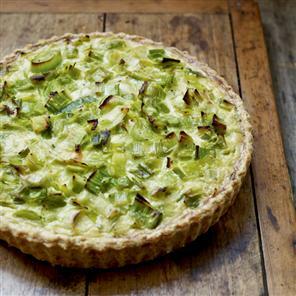 Other neighbouring regions had also had their influence on Champagne’s cuisine the most notable examples being the Flemish leek pie or the bacon and potato salad from Ardenes, slightly German in character. The locals, as emotionally attached to their land as they are, combine the best they have at their disposal and are easily able to impress anyone with the outcome, be it their flagship – the champagne or the exceptional gourmet products of their region.